Phenylalanine amino acid must be included in the human diet, but it is also essential for plants, determining many of their characteristics, such as the colour and scent of flowers, healing powers and antioxidant properties, and the strength of wood. A team of researchers from the UMA has now demonstrated that ADT2 gene is essential for plants to produce phenylalanine, conditioning their survival. "Several research groups, especially from the United States and Canada, have considered this vital role, but no one has been able to demonstrate it until now," says researcher Jorge El-Azaz, main author of this work, which is co-authored by the professors of the UMA Fernando de la Torre, Concepción Ávila and Francisco Cánovas. More than three years of research on the metabolic pathways of plants using genetic, biochemical and microscopic techniques has finally verified that plants become sterile without ADT2 gene. According to the plant biologists of the UMA, this is a fundamental gene for plants, which enables the synthesis of phenylalanine, a fundamental as a precursor of plant compounds, as well as contributing to industrial and medical applications, as it plays a key role in the development of morphine and caffeine. "Plants need these organic molecules to produce indispensable molecules, like those giving colour and flavour to fruit and flowers," says El-Azaz, who further emphasizes that essential amino acids are also irreplaceable for human beings, because humans do not produce them must obtain them through food. The study was published in the scientific journal Plant and Cell Physiology. 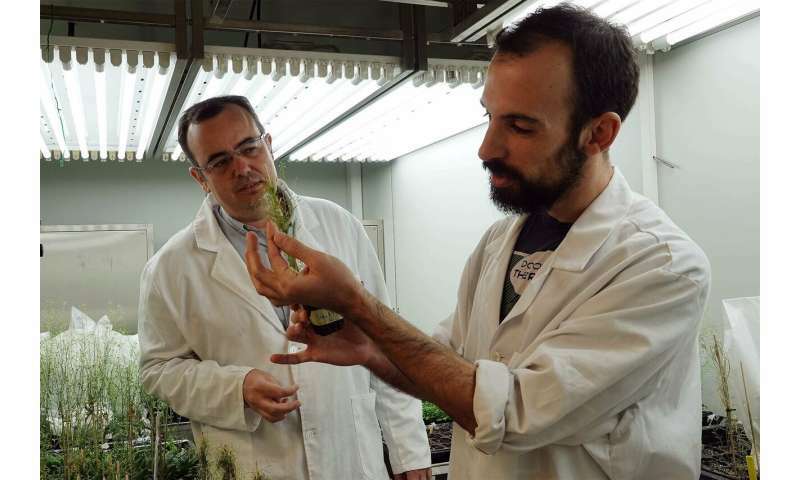 "We have presented a new model to prompt other hypotheses," concludes El-Azaz, who has been directed in this study by the professors of the UMA Fernando de la Torre and Francisco Cánovas.